This tasty dish is flavoured with white wine, lemon, and butter. Equally impressive at a dinner party or the family table. 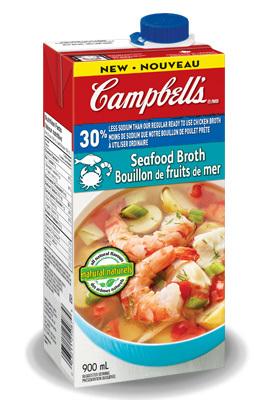 In a pot, heat the carton of seafood broth. Ensure you are heating but do not let it boil. In separate pot (thick-bottomed), heat butter over medium heat, and sauté the minced shallots for 2-3 minutes, until just translucent. Add the rice to the pot. Stir-fry the rice for 2-3 minutes, until all the grains are well coated in butter and are beginning to toast. Increase the heat to high and add the white wine. With a wooden spoon, stir the rice vigorously. Once the wine boils, turn the heat down until the wine is just simmering gently. Stir almost constantly. You are doing this to agitate the rice, which releases its starch and creates the creamy sauce you want in a risotto. 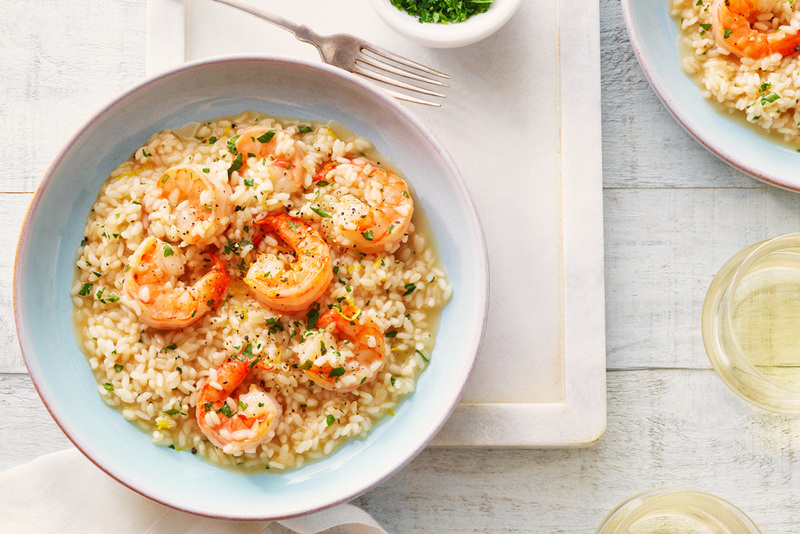 When the wine is almost cooked away  under no circumstances should you let the rice sizzle on the bottom of the pot  pour in half of the hot seafood broth. Stirring almost constantly, let this liquid reduce until it is almost gone, then add other half of hot seafood broth. Continue heating until the sauce coats the back of a spoon. Add the shrimp, the parsley, lemon zest and the remaining tablespoon of butter. Risotto should be loose and creamy.